If you made some New Year Resolutions, the chances are high that at least one was about getting fit. Everyone decides they are going to be extra fit at the beginning of the year. However, only to forget about it some weeks later. H&M will help you. Anyway, if you are hitting the gym you will definitely need some new workout gear that is not only functional but also pretty. H&M’s new sportswear collection may be what you are looking for. 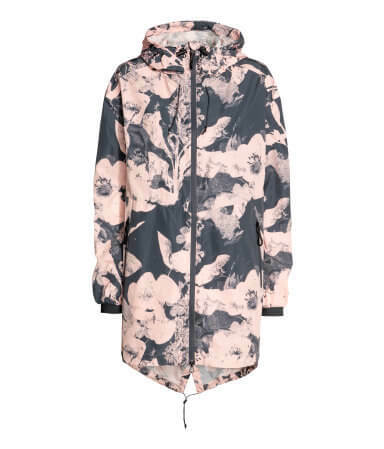 Our favorite from the collection is a floral parka in a gray and pink color scheme. The outdoor Parka is windproof and water repellent, which makes it perfect for outdoor activities. Besides, it features taped seams and a drawstring hood, as well as a zip at the front and pockets with zipping. 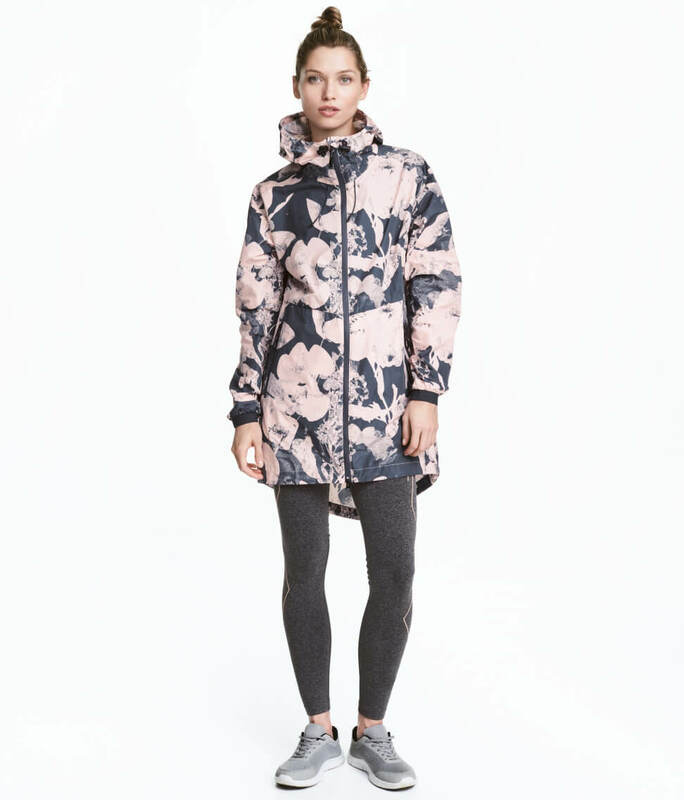 This parka has enough space for your personal items when you go hiking or jogging. 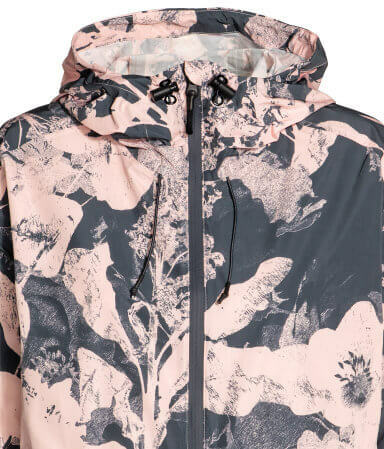 According to H&M, the new sportswear collection is inspired by “trending design meets cutting-edge functionality, to help you perform at the very best.” Finally, the best thing about this Parka and the entire collection it’s the pricing, which is quite cheap.